I offered to prepare some things for the girls' Kindergarten teacher so she could talk about the Moon Festival. I thought I would share what I prepared for her in case you also know a teacher who'd like to talk about the Moon Festival in class. And also because I discovered that there just aren't a lot of moon festival resources out there. The first thing I learned is that the Moon Festival, or the Mid-Autumn Moon Festival, is a bit of a mixed-up holiday. It's interestingly one part harvest celebration, one part culinary adventure and another part family reunion. Take that and throw in a couple myths and legends just for good measure and you've got the moon festival. I've heard it described as "Chinese Thanksgiving," which I think is an apt description. The comparison always makes me think of a family in China cooking a turkey and baking a pumpkin pie and getting it kind-of-sort-of right -- much like I'm sure I'm doing with the Moon Festival. I actually wrote out a multi-page lesson plan -- in real lesson plan format complete with an anticipatory set, objectives and activities -- and if you're interested, I'd be happy to e-mail you a copy. What follows is the pictorial version of my plan. Perhaps it will spark an idea or two for you. Since the Moon Festival is truly a harvest festival, I made two jars for the class: one is filled with rice and the other with wheat, so they could see what's being harvested in China at this time of the year. 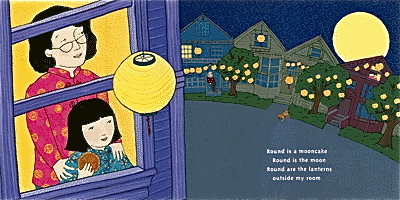 I then gave the teacher "Round is a Moon Cake," by Grace Lin to read to the class and provided her with a map of the world so she could show the students China on the map. 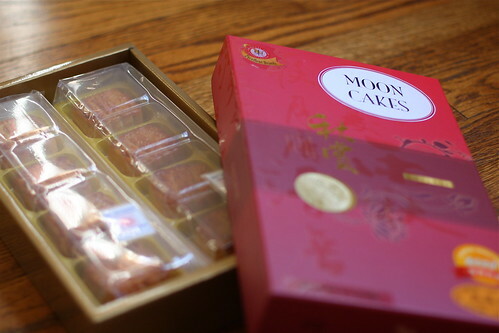 Next I provided a box of real moon cakes for her to show the class. I purchased them at a local Chinese grocery store and the Chinese characters on top of them tell what kind of filling each has inside it. The cashier at the market wrote out a little key for me so the kids would know what each moon cake was filled with. 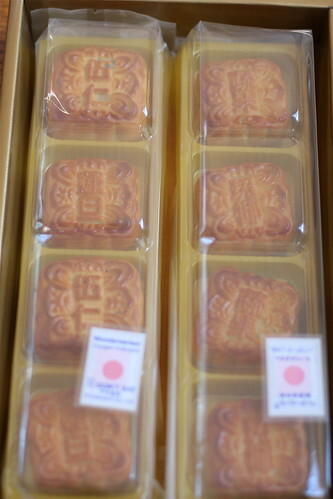 I purchased the moon cakes just for the students to look at. If you've ever tasted a real moon cake you know they're a bit of an acquired taste and not something I thought five-year olds would appreciate. I did want them to see real moon cakes though. 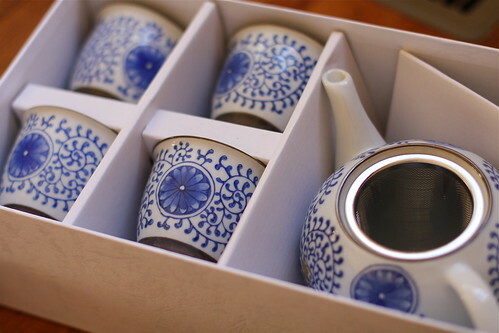 Next, I sent a Chinese tea set since drinking tea is such a part of Chinese culture -- and of the Moon Festival. I thought it would be fun for them to see how Chinese tea cups don't have handles and how they are beautifully decorated. 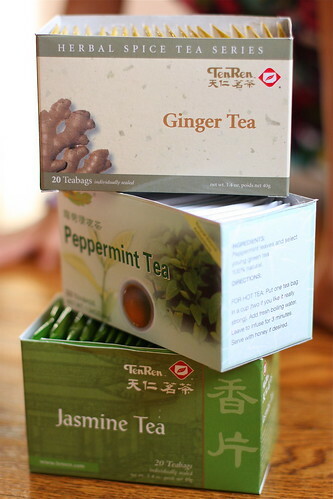 I also sent three boxes of Chinese tea -- ginger tea, peppermint tea and jasmine tea -- for the kids to smell. There were enough tea bags for each one to have their own tea bag and not share germs! I picked three teas that had a strong smell, were distinctive and might be scents the kids would recognize. I got these teas at a Chinese grocery. 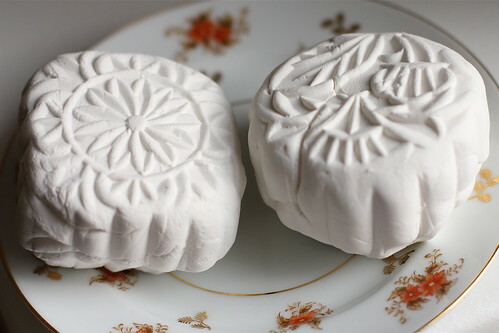 I sent two different Moon Cake molds -- oh, do I love Moon Cake molds. Truly, I do. 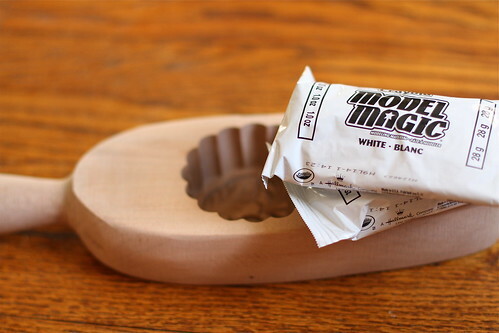 -- along with enough Model Magic for every student to make their own Moon Cake. (It takes two 1-ounce packages to make one full-sized moon cake.) The white Model Magic can be painted too. 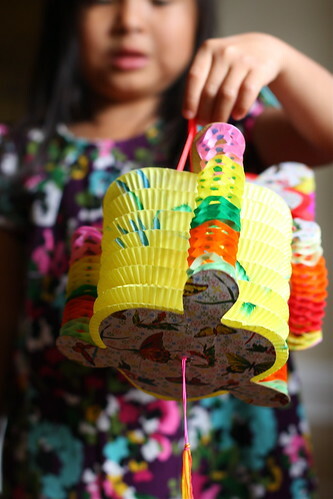 I sent a moon cake and pot of tea Coloring sheet for the students to color and I also gave the teacher a lantern for every student in the class, along with a CD I made of Chinese celebration music. The girls' teacher also had the students do the cutest craft! She gave them all white paper and let them cover it with glitter. They then tore it into pieces and glued it on a black piece of paper to make a moon. Darling. Finally, I made Moon Cookies using a Moon Cookie mold and a shortbread cookie recipe. Kenna and Michal wore Chinese dresses to class on the day the teacher talked about the Moon Festival and on the way to school Kenna excitedly told me, "I think my teacher is going to be so excited to learn that I was born in China!" The clear plastic jars are from the Container Store. The rice is from the grocery store and the wheat came from Whole Foods in the baking aisle. I purchased Moon Cakes at a local Chinese grocery store but you can order them online from a Chicago or New York Chinatown bakery. I purchased the tea set in Chinatown and the boxes of tea bags at a Chinese grocery store. Pearl River Trading Co. has an interesting assortment of tea and tea sets. I have one Moon Cake mold that I purchased from Adopt Shoppe and a couple that I purchased from Woks-n-Things in Chinatown. (312) 842-0701 I also purchased the Moon Cookie molds at Woks-n-Things. 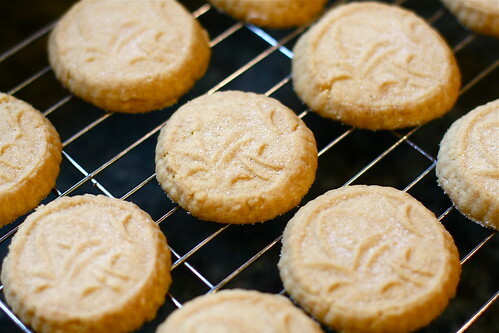 This is the shortbread cookie recipe that I used. I only used 3 cups of flour and then rolled the dough into a small ball and rolled it around in flour before pushing it into the mold. It took one or two good whacks on the counter before it popped out of the mold. I baked the cookies for 70 minutes, which seemed to be the correct amount of time. Once the cookies came out of the oven, I sprinkled them with granulated sugar to make the moons sparkle a little. beautiful! such great ideas with the cookies and moon cakes just for looking. I too don't have taste buds that *appreciate* moon cakes, and moon cookies sound like a spot on alternative. I love your class presentation!! We are homeschooling, and I would love to have you email me your class presentation at tmhitt60@hotmail.com. I have several friends (with little ones from China - and not) I would love to share this with. Also, at church! Kristi, thank you so much for always opening and creatively sharing your ideas and family with us!! What a superb parent you are! I would love to have a copy of the lesson plans that you developed. I have two Tiawanese granddaughters and would like to do this with them when they are in the states. Also, I teach second grade and hopefully will have an adopted child in my class. There are a few in our little town. I am so impressed. I am sure the teacher was THRILLED with your lesson plan and all of the goodies you sent in. Where do you find those beautiful molds. My kids LOVE model magic and that would be a great craft for us. Kristi~you amaze me. The thought and effort that went into this was truly wonderful. Wow Kristi - I bet the girls' teacher loved you! I would love to have a copy of your lesson plan, as I try to add a bit of international celebration throughout the year. Thanks so much!! I bow to you! We settled for chocolate cake (the sky), vanilla ice cream (the moon, of course), and sprinkles for the stars. Next year, I will borrow your excellent ideas. Oh my gosh, Kristi...the lessn plan sounds wonderful...would make Madeline Hunter herself proud!!! I would LOVE a copy of your lesson plan...despite my teacher training, I somehow feel very inadequate in preparing lessons on Lia's heritage...I just don't want to goof it up, you know??? As always, I love your photographs and your creativity. Thank you so much for sharing!!! What fun! As a first grade teacher and a WAITING mom to adopt from China, I would love to have a copy of your lesson plan! WOW... how fun and creative. 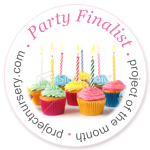 My Tate was only 13 months when we celebrated this year, but in the future, we will be needing those lesson plans! lisa_winger at yahoo dot com... Also, wondering where to get mooncake molds? What an amazing and thoughtful idea. you always come up with the most wonderful ideas. i would apprecite it if you could send me the lesson plan for Emilees class next year. What wonderful ideas! Thank you for sharing! I would love a copy of your lesson plan! My email is ladybug.lucky@hotmail.com. Thanks again! You always have such fun ideas! I’m a long time follower of your blog. You are so creative and I LOVE all the activities you do with your girls. I have volunteered in a SWI orphanage in China (2006) and a private foster home in China (2008). I don’t have a child from China yet (b/c I'm not married) but hope to someday. I would love a copy of your Moon Festival lesson plan. I’m sure the teacher was ecstatic to see all the work you detail you put into the lesson plan. Thanks for sharing your creativity and ideas! Thanks for some great ideas! I'm always looking for new ones! I did a Chinese New Year presentation last year for my daughter's preschool class, but I wanted to do something else this year. Even though the teacher is different, most of the kids are the same. Unfortunately, I didn't have any free Fridays in early fall(I teach M-Th, but only go in Fri if there's a meeting) so I couldn't do the Moon Festival with them. Maybe we'll try Qing Ming! p.s. I would LOVE to see updated pics of your dollhouse. I too have one very similar to yours, my grandfather built it for my mother, it was then passed down to me and now I can pass it down to my girls. We too are going to redo our dollhouse in the next year or so when the girls are a wee bit older. I think we all want a copy of your lesson plan. Great ideas. I have been a long time lurker but never posted before. I have two four year olds from China and would love to get a copy of your lesson plans. 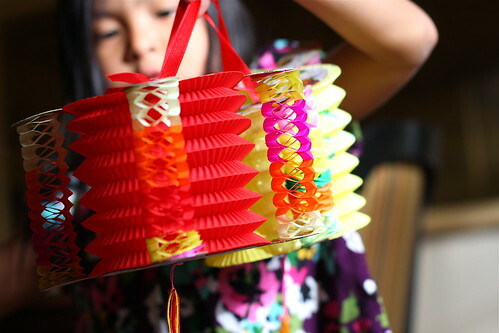 Are you doing anything like this for Chinese New Years? My email is Sher667@aol.com. My daughter was adopted at the same time as Kim Swales daughter Kate. That was wonderful!!! I try to do something for LiLi and her class each year but not to that extent. WOW!!! I am going to have to steal a few ideas. You rock as a mom!!! I have 2 daughters adopted from china..I love your ideas...can you please send the lession plan and the reciepe for the moon cake cookies. Would you please email me your complete lesson plan for the Moon Festival? I have been asked to put something together for Chinese New Year for my twin daughters' pre-K class and thought I could use a lot of your ideas from this celebration. My email is momohewey@hotmail.com. Thank you. 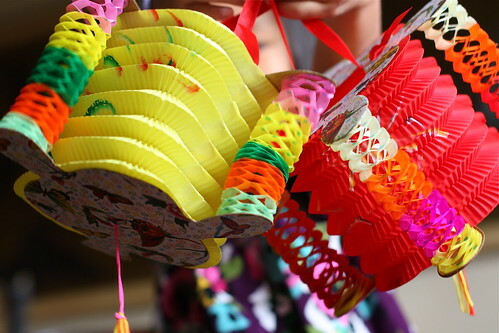 Would love to have a peek at the Moon Festival lesson plan for our local homeshool group. Do you still have this lesson plan? I would love to get a copy. Thanks so much! This is really fantastic, Kristi. The comparisons to Thanksgiving are apt. Sometimes through all the Chinese folklore and customs, some of the more universal themes get lost! 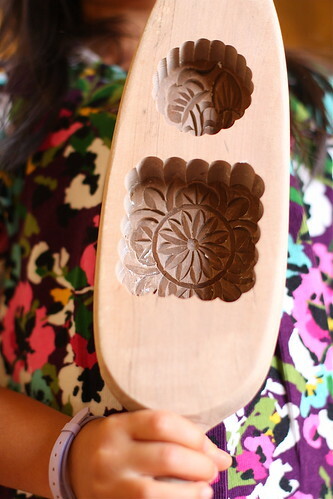 I really loved how you faithfully adapted the more traditional elements (like the mooncake molds!) in ways that little ones could understand. Great job!